Cat and her brother Chicken have always had a very special bond--Cat is one of the few people who can keep Chicken happy. When he has a "meltdown" she's the one who scratches his back and reads his favorite story. She's the one who knows what Chicken needs. Since their mom has had to work double-hard to keep their family afloat after their father passed away, Cat has been the glue holding her family together. But even the strongest glue sometimes struggles to hold. When a summer trip doesn't go according to plan, Cat and Chicken end up spending three weeks with grandparents they never knew. 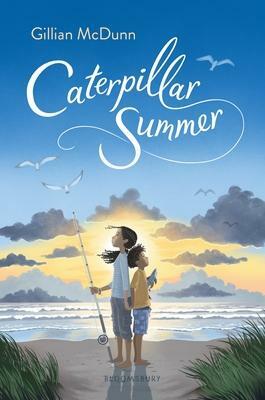 For the first time in years, Cat has the opportunity to be a kid again, and the journey she takes shows that even the most broken or strained relationships can be healed if people take the time to walk in one another's shoes. Gillian McDunn has lived in California, Missouri, and North Carolina, and is a fan of both the Pacific and the Atlantic Oceans. Like Cat, Gillian grew up as the big sister to a younger brother with special needs. She lives near Raleigh, NC, with her family. This is her first book.